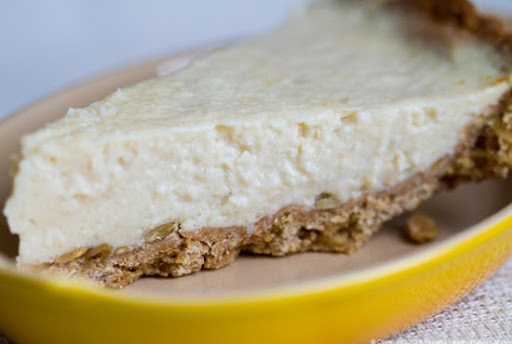 Coconut-Lime Custard Pie. Vegan. Fresh Papaya Sauce. 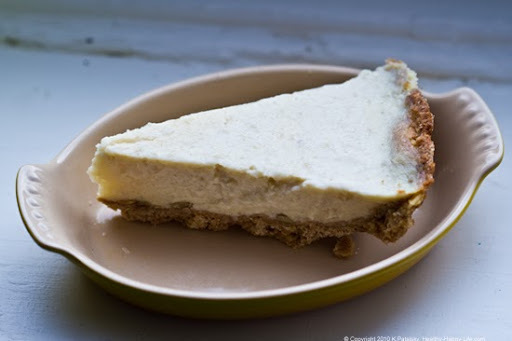 I'm not sure why, but I was suddenly desperate for some cool, creamy, 100% vegan Coconut Custard Pie. Custard pie craving! Doesn't everyone have those? So I whipped up this island-inspired recipe - bursting with tropical flavors like lime, papaya and coconut. The Flavors. 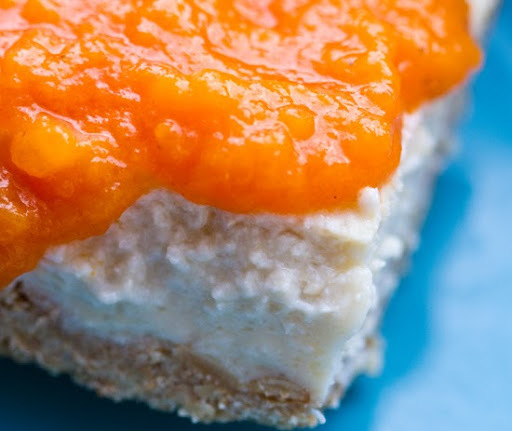 Slightly spicy, sweet Fresh Papaya Sauce is the perfect zingy tropical topping for this clean, creamy coconut custard pie. 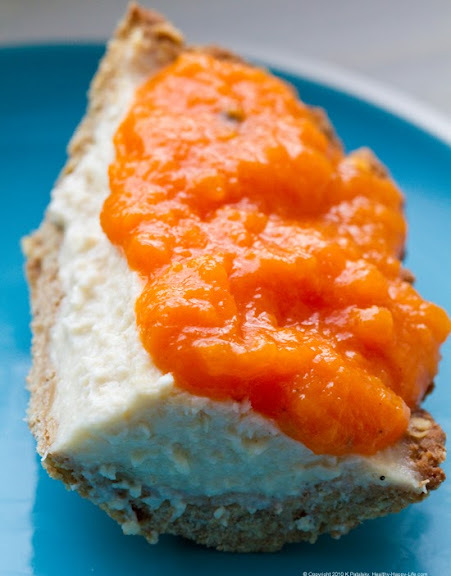 The pie filling is mildly sweet with almost a flan-esque flavor and texture. 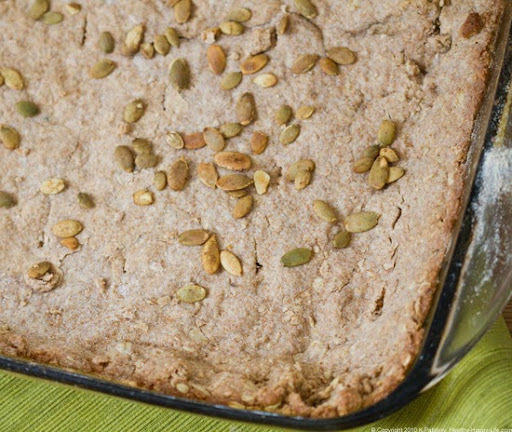 The crumbly textured crust is packed with sweet maple-cinnamon flavor, nutty spelt flour and whole grain oats. 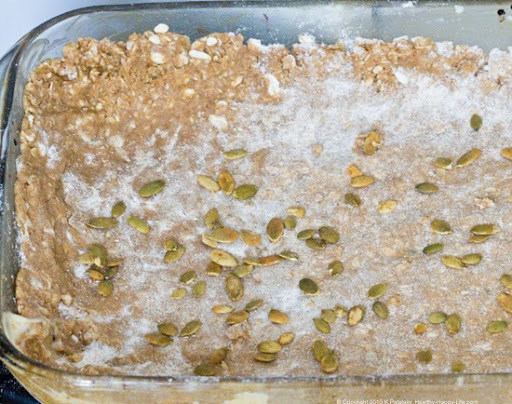 For a finer crust you can pulse oats in a blender before adding to the mix. 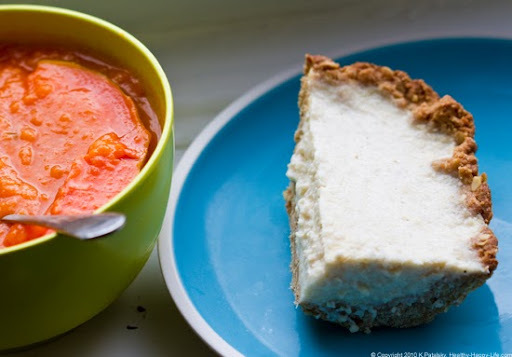 Serve this creamy custard pie warm or chilled. Serve at slices or bars. Agar Agar Creations. 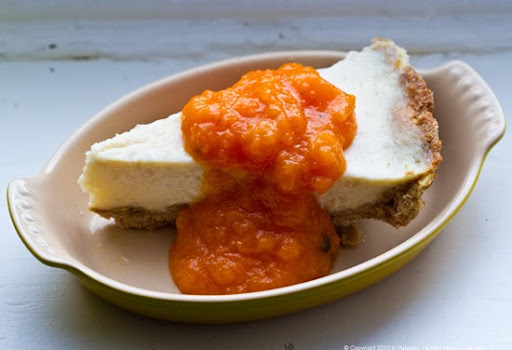 Custard-style pie secret: Agar Agar! I love working with Agar Agar in the kitchen. 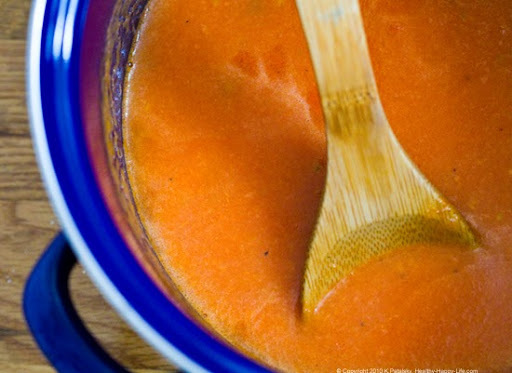 Once you learn the technique for using it, your imagination will run wild with ways to incorporate it into your recipes. 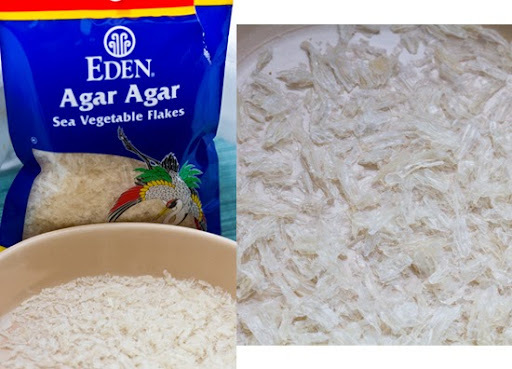 Agar Agar is basically "vegan gelatin" (it is a flavorless, clear seaweed) - when dissolved in boiling water and then chilled to harden, it creates a firm gel-like texture. 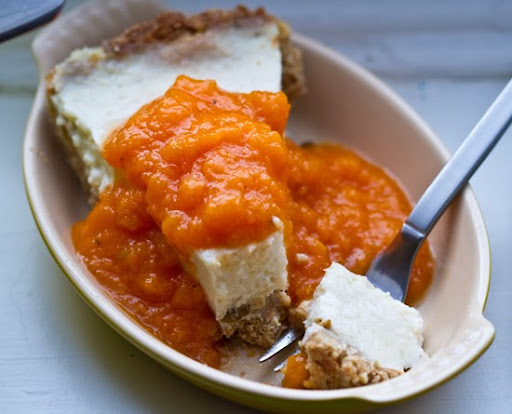 Note, you can certainly make this recipe without using Agar Agar, but the consistency will be more of a pudding pie than a custard pie. Delicious either way. Agar Agar Technique. 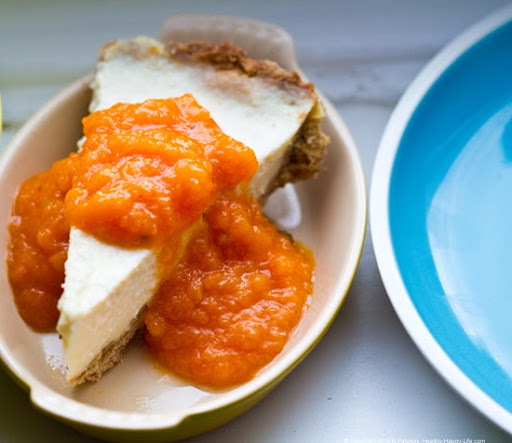 When you use Agar Agar you'll want to vary the amount based on your recipe. But you will always want to completely dissolve the Agar in boiling water before combining it with the rest of your ingredients. I do about 1/2-1 cup of water for every 3 Tbsp of Agar - roughly. There are also instructions on the package. If you do not fully dissolve your Agar it will clump up into tapioca-ish, oblong bulbs when it chills. Interesting, but not smooth or flavorful. 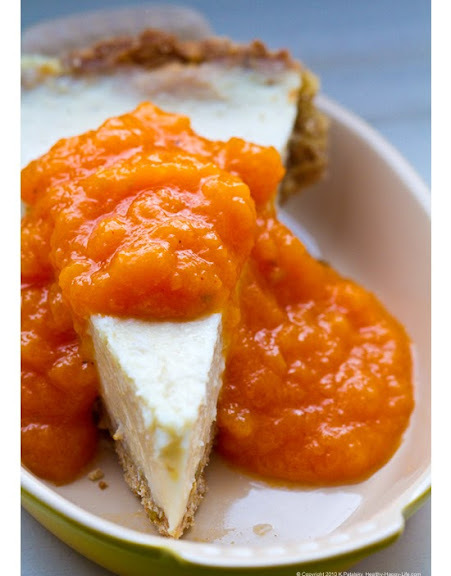 *note: this recipe is very mild in sweetness - add more sweetener for a more intensely sweet dessert bite. 1. 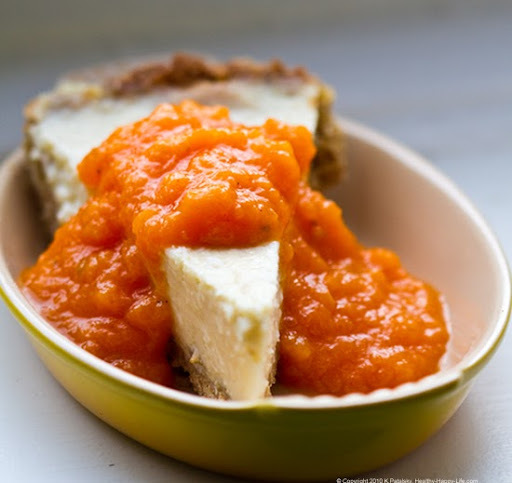 First prepare the crust: Pulse the cold buttery spread and maple syrup in a food processor until well combined. Add that mixture to the rest of your ingredients OR Melt the buttery spread until it is soft and hand stir all ingredients together until a nice soft dough forms. 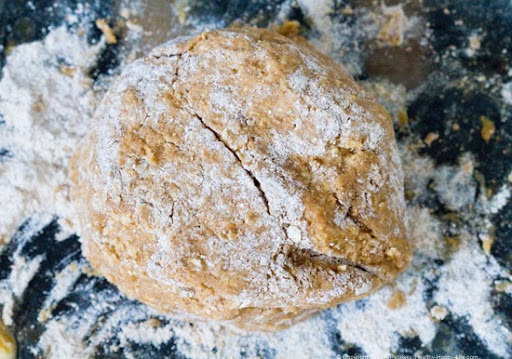 You can also use a stand mixer to combine dough if you have one. Hand press the dough into your - well-greased with oil or buttery spread - two pie dishes OR one large casserole dish. Top with pumpkin seeds (optional). Poke air vents wit a form in the crust and bake at 400 degrees for 15 minutes - or until slightly browned and crisp edges form. 2. 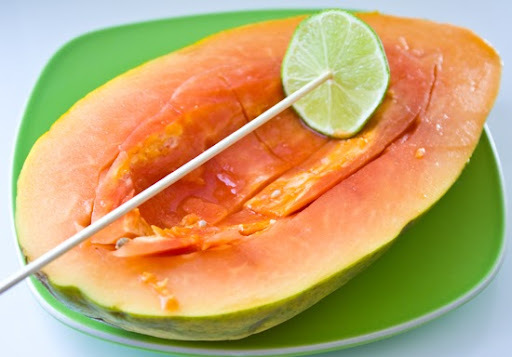 Papaya Sauce: Puree one medium red papaya (seeds/skin removed) with orange juice in a food processor or blender. Set aside. Add the water and agar agar to a soup pot and boil water until agar is completely dissolved. (skip the agar step if you are not using it). Next add in the orange juice and papaya puree - and the salt and cayenne. Bring mixture to a boil - stirring constantly. Allow to boil for about 2 minutes, then remove from heat. Transfer to a bowl and allow to cool. 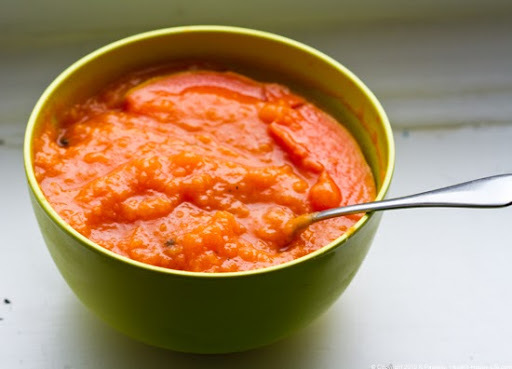 When papaya puree is cooled - place in fridge to chill. The sauce will become slightly firm almost like a jelly sauce - this is from the agar agar. If you want a more liquid sauce, omit the agar agar. 3. 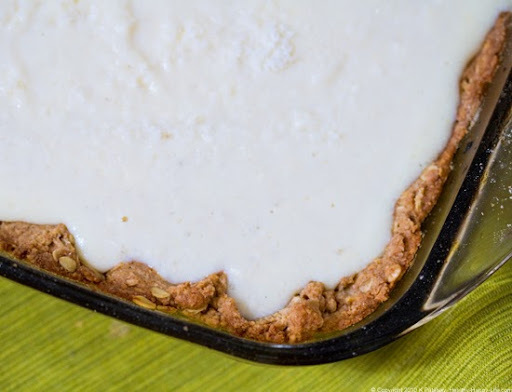 Coconut Custard Lime Filling: Bring the water to a boil. Dissolve the agar agar in the boiling water. 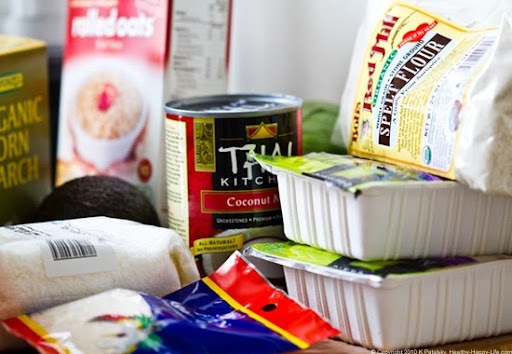 In a small bowl, whisk together the coconut milk and corn starch or arrowroot powder. Add to pot. Also add in the drained silken tofu, sugar, lime juice and salt. Stir with a wooden spoon and bring the mushy/lumpy mixture to a soft boil. Let boil for a few minutes then remove from heat. Transfer to a blender or food processor (add cashews if using) - and blend/process until smooth. Fold in coconut flakes. 4. 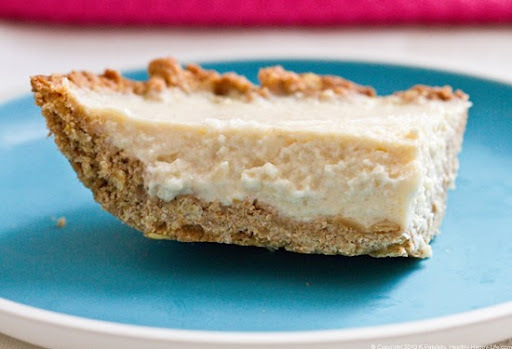 Pour your coconut mixture into your cooled pie crust. Top with another sprinkle of coconut. Cool for a few minutes before placing in fridge to completely chill/harden. 5. Serve: Serve chilled or re-heat for a warm custard pie. 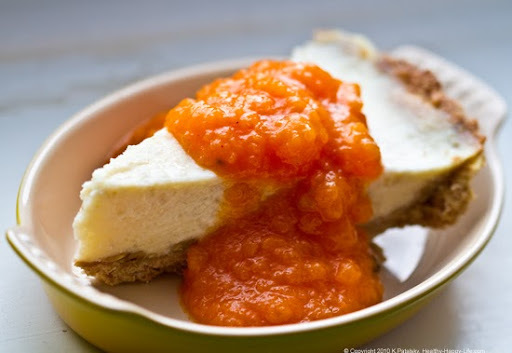 Add a heaping spoonful of papaya sauce to the top of each pie slice/bar.